The news was first reported by 9to5Mac after a screenshot was shared on Twitter by app developer David Barnard. When a subscription is authenticated either with Touch ID or Face ID, a pop up now appears that reads: "Confirm Subscription. 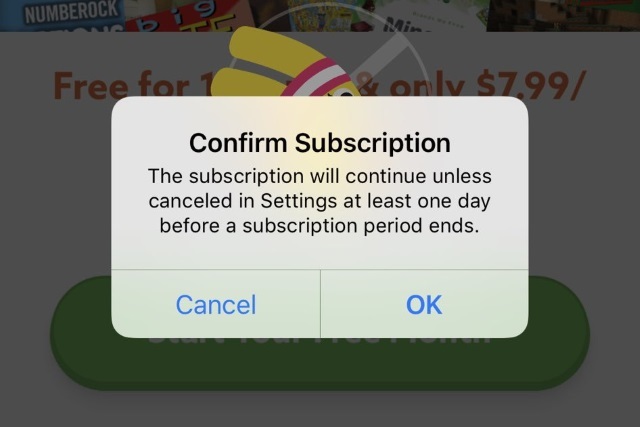 The subscription will continue unless canceled in Settings at least one day before a subscription period ends". There have been complaints for some time from users who have accidentally signed up for subscriptions. Apple has implemented the new system as a server-side update, so there is no need to update iOS to see the benefit, and it is something that it available to all versions of the operating system.